This was another great find this week. 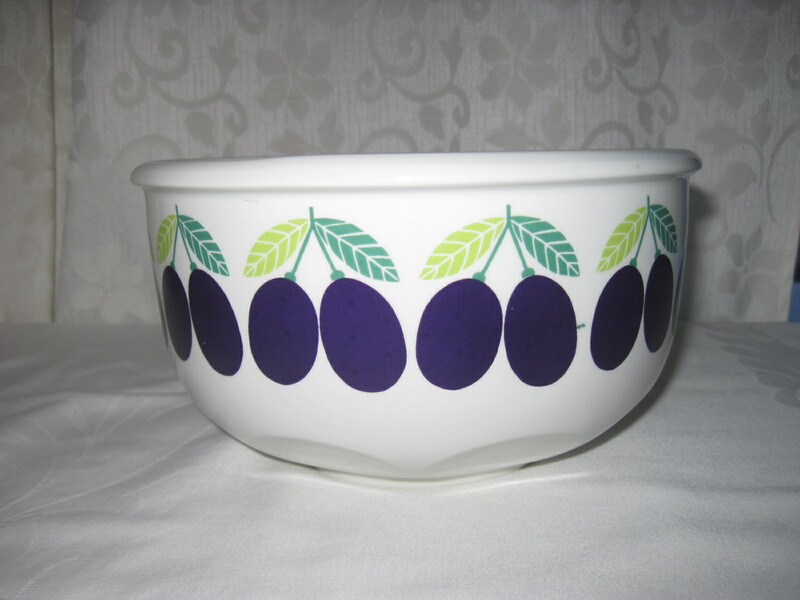 Lovely large serving/mixing bowl by Arabia in the Pomona Plum pattern. Designed by Raija Uosikkinen in the 1960’s or 1970’s. These are manufactured in Finland by Arabia, a company that had very innovative designs for tableware. This will eventually be for sale at my booth in Almonte ON at the Almonte Antique Market for $ 65.00. I think there is quite a few fruit pattern in the jars. I thought you might like this one. I will let you know if I come across any jam jars.